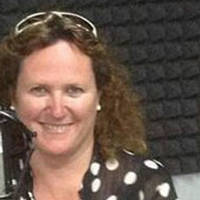 ONE WOMAN AT A TIME "MOST WOMEN IN CYPRUS DON'T KNOW WHAT RIGHTS THEY HAVE!" IN CYPRUS, NO LAW PREVENTS SELF-REPRESENTATION OR FROM “DOING IT YOURSELF” TO FILE IN COURT FOR NO CONTACT CIVIL PROTECTIONS. file for emergency no contact orders grounded on protections of their fundamental human rights of access to court, human dignity and privacy. Your right to represent yourself means you can file to obtain a no contact order to prevent abuse. Your human right of access to court means you can self-help, fill out forms to file your claim for no contact in court. Cyprus must ensure its women are afforded no less human rights against abuse than what is afforded to protect thousands of EU Member-state citizens and Council of Europe member citizens who enjoy protections against abuse in their own countries. Thousands of European Union Member-state and Council of Europe member nation women self-help and self-represent in court to obtain no contact protections to end their abuse – on their own. What is One Woman At A Time (OWAAT) - CYPRUS? OWAAT means Cyprus has “Zero Tolerance” of Abuse Against Women. OWAAT goals are aimed at empowering all abused women to prevent their violence by protecting their life and privacy. OWAAT objectives guide women how to place the law in their hands, become self-represented litigants, and obtain access to court for no contact civil protections against their abuser. OWAAT encourages Cyprus courts to support OWAAT goals and objectives by adopting web-based “Self-help Forms” and instructions for self-represented litigants to print off, fill-in-the-blanks, e-sign and e-file in any Cyprus court with proper jurisdiction to grant civil equitable remedies, and as justice so requires. OWAAT provides court web-links as model, modern court web-based management systems. Many EU Member-state courts and all U.S. courts websites share Self-Help forms and related links to court provided civil protection complaint and instructions to assist self-represented litigants. OWAAT operated Complaint Clinics at the local level. Village of Kokkinotrimithia and Sisters of St. Joseph’s Convent, Old City, Nicosia, opened OWAAT Complaint Centers in October 2014. Community volunteers pool resources for their local OWAAT Complaint Center. Business leaders and professionals offer valuable time, expertise and specialized skills. Municipalities and nonprofits donate facilities and computer technology. Growing networks of OWAAT volunteers sustain Complaint Centers for abused women in their communities to learn how to assert their fundamental human rights in court, in their own voice. It takes a village to end abuse, One Woman At A Time. * One Woman At A Time (OWAAT) and the creators of this website acknowledge that theirs is not an official Department of State website or blog, or an official University of Nicosia website or blog, and that the views and information presented are their own and do not represent the Fulbright Program, CIES or the U.S. Department of State, or the University of Nicosia, Cyprus. CTO & Project Manager for OWAAT Website & Branding Project - By Website & Branding team: Alexandra Hadjidaki, Ana Bujosevic and Daryna Dombik. 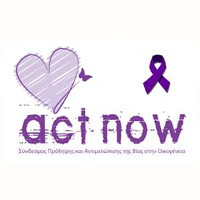 Today, Cyprus volunteers offer OWAAT their valuable time, expertise and skills, information technology, offices and other pooled local resources for abused women to meet in a safe place to learn how to self-help, gain access to court, assert their fundamental human rights, and seek to end abuse by an immediate no contact court order. First, it is an original idea which serves helpless people, victims of abuse who may also be illiterate, impoverished and need access to justice. OWAAT strives to assist them in vindicating their fundamental human rights and liberties. 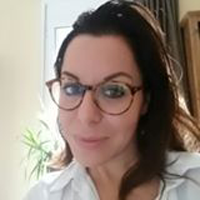 Federica Pastore from Milan, Italy joined OWAAT in January 2018 to help lead the OWAAT Italian Translation Team. Her leadership and Team efforts made it possible for OWAAT-IT to launch in 2018. ‘In a world where human rights violations are still perpetrated, it is fundamental that everyone puts efforts into the cause, carrying out small and big actions to change the status quo. 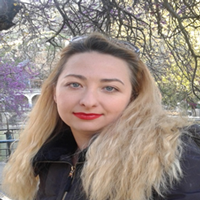 OWAAT’s goal is to provide support and legal defense tools to women victims of abuse and discrimination and for this reason I accepted with great enthusiasm to join the organization as a volunteer in the Italian translation team.’, said Federica. 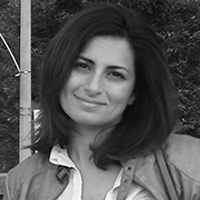 She holds a Master Degree in Development, Environment and Cooperation – Curriculum Environmental Politics and Economy from the University of Turin, Italy. Cristian Riva from Lecco, Italy volunteered in January 2018 to translate our OWAAT English version website to Italian. His leadership and Team efforts made it possible for OWAAT-IT to launch in 2018. “I believe that being a citizen in a democratic context ethically implies a personal commitment to improve our society in its cultural, political, environmental aspects. 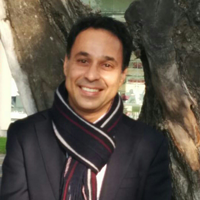 Being a volunteer translator for OWAAT in Italian is an extraordinary opportunity to fulfil my moral obligations and to offer my contribution in order to combat any kind of violence against women, which represents one of the most intolerable barbarities of contemporary societies.” said Cristian. 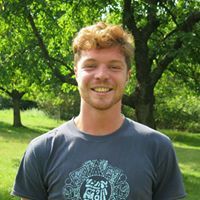 Cristian holds a Master Degree in Philosophical Sciences at RUB – Ruhr Universitat Bochum (Germany) and was a EVS Volunteer at YEE – Youth and Environment Europe in Prague, Czech Republic. Web Development by: Andrei Claudiu Roman, Alexandra Hadjidaki, Patricia Martin, Esq. Branding & Web Design by: Daryna Dombik and Ana Bujosevic, Patricia Martin, Esq. 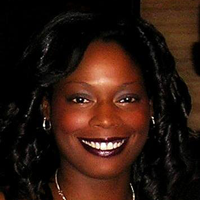 Editor (English): Patricia M. Martin, Esq. Editors (Greek): Dr. Anna Plevri, Carlos Partasides, Dr. Christiana Cleridou, Athena Stavrinidou, and Patricia M. Martin, Esq. Editors (Russian): Alisa Khandyuk, Patricia M. Martin, Esq. 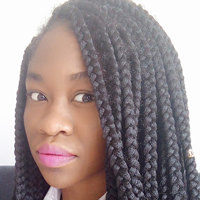 Editors (Yoruba): Oluwatodimu Bankole "Todi", Patricia M. Martin, Esq. Editors (Italian): Federica Pastore, Cristian Riva, Rossella Sala, Patricia M. Martin, Esq. 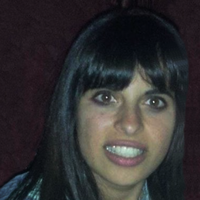 Federica Pastore from Milan, Italy joined OWAAT in January 2018 to help lead the OWAAT Italian Translation Team. Her leadership and Team efforts made it possible for OWAAT-IT to launch in 2018. ‘In a world where human rights violations are still perpetrated, it is fundamental that everyone puts efforts into the cause, carrying out small and big actions to change the status quo. 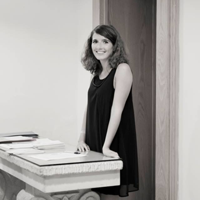 OWAAT’s goal is to provide support and legal defense tools to women victims of abuse and discrimination and for this reason I accepted with great enthusiasm to join the organization as a volunteer in the Italian translation team.’, said Federica. 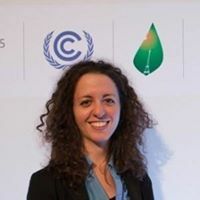 She holds a Master Degree in Development, Environment and Cooperation – Curriculum Environmental Politics and Economy from the University of Turin, Italy. 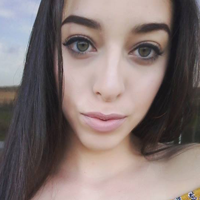 Federica Pastore da Milano (Italia) si é unita a OWAAT nel gennaio 2018 per supportare il team di traduzione italiano OWAAT. La sua leadership e il lavoro di squadra hanno reso possibile lanciare OWAAT-IT nel 2018. “In un mondo in cui ci sono ancora violazioni dei diritti umani, é fondamentale che ognuno faccia qualcosa, con piccoli o grandi gesti, per cambiare la situazione attuale. L´obiettivo di OWAAT é di fornire supporto e strumenti di difesa legale alle donne vittime di abusi e discriminazioni e per questo motive ho accettato con entusiasmo di unirmi a OWAAT come traduttrice volontaria nel team italiano. ´, ha affermato Federica. 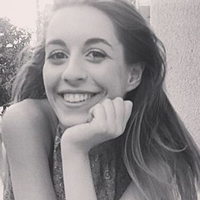 Federica ha una laurea specialistica in Sviluppo, Ambiente e Cooperazione – curriculum Economia e Politiche dell´Ambiente presso l´Universitá degli Studi di Torino, Italia. * From United Nations General Assembly, July 6, 2016, Sixty-first session, A/61/122/Add.1, Report of the Secretary-General, In-depth study on all forms of violence against women. at p. 106. As of January 11, 2015, protection orders issued on or after that date are recognized by all EU Member-State Courts, and will be enforceable by Cyprus courts. * From United Nations General Assembly, July 6, 2016, Sixty-first session, A/61/122/Add.1 Report of the Secretary-General, In-depth study on all forms of violence against women at pp. 106. Thousands of European Union Member-state and Council of Europe member nation women self-help and self-represent in court to obtain no contact protections to end their abuse – on their own. You can do it yourself too. Select the correct form to use, in Greek or English, depending on the language spoken by defendant you named in your complaint. The instructions also explain how to file your application in court, provide the defendant a copy by a process server. A sample, simplified fill-in-the-blank questionnaire addendum form may be attached to your complaint application using the forms provided. BECAUSE YOU ARE ALSO A EU MEMBERS STATE CITIZEN, IF YOU ARE ISSUED A PROTECTION ORDER BY A COURT IN CYPRUS, IT MUST BE HONORED TO PROTECT YOU FROM DEFENDANT WHEN YOU LEAVE CYPRUS TO WORK, TRAVEL OR RESIDE IN ANY OTHER EU MEMBERS STATE. Other EU Member State courts, like Spain, provide litigant downloadable form for no contact used civil orders. If order is issued, then all EU COURTS must honor the Spain protection order on relocation of plaintiff, including in Cyprus. In Spain, for example, the 2004 Spanish Protection from Violence Act (Ley Integral) was developed with strong involvement from women’s organizations and contains a wide definition of violence including psychological forms of violence, such as sexual aggression, threat, compulsion, coercion and deprivation of free will. For further information on the movement in Spain see the following websites: fundacionmujeres.com; elmundo.es; juntadeandalucia.es; malostratos.com; redfeminista.org. Ms. Patricia M. Martin is a U.S. Constitutional law civil rights litigator and international human rights advocate. In 2006, a law school friend specialized in family law called Ms. Martin for guidance on how to self-help to file for divorce. Ms. Martin began volunteering her evenings at local churches and social services to help women self-help to obtain access to court for no contact court orders. She discovered once abused women learned about their fundamental human right of access to court, they were empowered, and wanted to place the law in their hands, and fill out forms to file for protections. Women, even abused women, believed their courts would hear them. And courts do hear. E-access, self-help online forms and e-filings are how modern courts play a vital role to provide abused women information on how to prevent their own abuse within their courts. 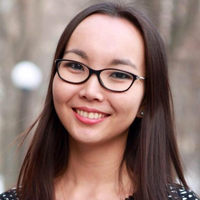 Ms. Martin began research for a Fulbright Scholarship application, specifically on countries where legal gaps prevented abused women from gaining court access to end unwanted contact. 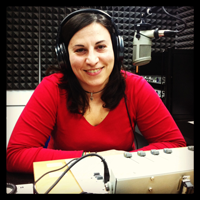 In 2012, Ms. Martin read REACT to Domestic Violence: Building a Support System for Victims of Domestic Violence, published in 2011 by the Mediterranean Institute of Gender Studies, (MIGS), Cyprus. REACT findings compelled Ms. Martin to conduct further related research on whether Cyprus courts provide citizens interactive online processes, online template forms or any means for poor abused women to self-help and file pro se for expedited, no contact protection orders. 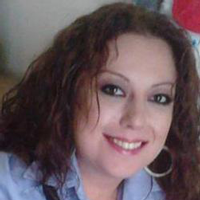 She found Cyprus courts didn’t provide anyone self-help forms online. 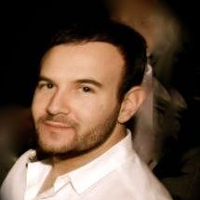 Martin’s research focused on whether Cyprus court filing procedures created other complexities for litigants, like prolonged proceedings that might be related the court’s non-interactive website, and hand-carried, paper filings. Ms. Martin discovered the court’s outdated procedures triggered other practical obstacles that in effect, precluded abused women from self-representation. Martin found European Court of Human Rights cases where the Court held Cyprus’s prolonged court proceedings violated access to court human rights. Martin then compared her findings to other EU Member State courts and U.S. courts. She found Cyprus courts among the few member-state courts that did not provide forms for self-represented litigants to file civil complaints. Ms. Martin created One Woman At A Time, (OWAAT), a community-court collaboration aimed at empowering women to learn their human rights and place the law in their hands as self-represented litigants who self-help to obtain protection orders which end abuse. OWAAT is designed after like-kind U.S. and EU courts online, web-based, self-help interactive links which work with community-based outreach programs to guide abused women to gain access to court. 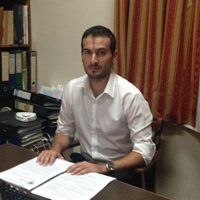 On August 1, 2013, Martin reacted to REACT and applied for a U.S. Fulbright Scholarship to conduct legal research in Cyprus and facilitate One Woman At A Time (OWAAT) in conjunction with the University of Nicosia Law Clinic Programme (UNIC). 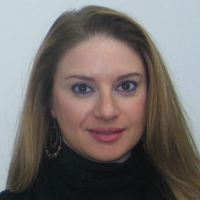 In March 2014, the Cyprus community and Cyprus-Fulbright Commission Review Committee Members selected Ms. Martin and OWAAT for funding by a U.S. Fulbright Legal Research Scholarship. 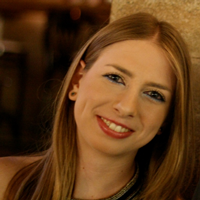 Today, Ms. Martin lives in Nicosia and works in Nicosia, surrounding villages throughout Cyprus and in the UNIC Law Clinic Programme to implement OWAAT. OWAAT community collaborators’ volunteer efforts and enthusiasm have established One Woman At A Time as a household word, where Zero Tolerance of Abuse has placed a strong foothold on the Island. Because Cypriots understand “it takes a village to end abuse”, one woman at a time will be able to end her abuse. OWAAT offers Cyprus a blueprint on how to link abused women with each other in a community-court collaborative network of support that embodies to precept, “Zero Tolerance of Abuse Against Women”. OWAAT is raising awareness how mutual understanding to create positive social change from within is how peacekeeping between nations is secured. On May, 30, 2015, the U.S. Fulbright Grant funding for OWAAT – Cyprus ends. But the OWAAT footprint to make its mark on Cyprus must continue to spread, grow and flourish as it creates positive social change, from the ground level up. Each year UNIC law students involved in OWAAT must continue to be uniquely challenged by legal research and clinical studies performed in a wide range of cutting edge human rights issues that face Cyprus daily. Students need to keep compiling new legal data, performing relevant data analysis on EU Member State Court-created, web-based civil complaint filing systems and continue to learn how to apply human rights law through critical thinking. Students involved in OWAAT clinics learned first-hand how to create comparative legal analysis, and contrast model EU Court downloadable civil complaint forms to determine whether and how well Cyprus has adopted or begun to develop new modern online complaint templates for self-help assistance to guide women who cannot afford to hire legal counsel. Students find new ways adopted by other Courts which meet the needs of local women, and translate model forms and instructions, in Greek and English. Forms are used to update the OWAAT website, and are made accessible to women seeking self-help means to end their abuse by filing on their own for a no contact protection order. Women in Cyprus will continually need to know their human rights and how to self-help to file for expedited proceedings to assert their rights to prevent unwanted contact and abuse. Collaborators will continue to need ongoing guidance from OWAAT on how they, and their local community leaders and social services, can pool their resources and contact information. Self-represented litigants will always need to know how to access court websites; where they can obtain guidance on when to observe court proceedings; how they may be engaged in a party-driven, out-of-court mediated negotiations; and where they may learn techniques to conduct a successful party-driven alternative dispute settlements for mutual no contact settlement. Your Donation to OWAAT Outreach Spreads The Word. Achieve OWAAT aims to create and sustain the OWAAT Network of collaborators who help to spread the word in every Cyprus city, town and village, at home, in schools and the workplace. Make Your Donation To OWAAT. Send your contact information (name and e-mail address) to make a donation through the contact form. Since August 2012, University of Nicosia President Peristanis, Dr. Achilles Emilianides, University of Nicosia (UNIC) Head of the Law Department, and Dr. Antonios St. Stylianou, Director of UNIC Law Clinic Programme, have offered their support in furtherance of OWAAT goals and objectives this 2014-2015 academic year. Under their able guidance, Ms. Martin monitored OWAAT implementation, and mentored UNIC Law Clinic students selected for this clinical community-court outreach and legal research project. In addition to OWAAT Host UNIC, this sustainable, fundamental human rights outreach program is made possible with support and encouragement from the Supreme Court of Cyprus, Family Court-Nicosia judiciary, administrative staff and The Fulbright Program, Cyprus. OWAAT operates at the local level. Growing numbers of Cyprus professional business and legal leaders REACT collaborators. From left to right: Patricia M. Martin, Esq., OWAAT Fulbright Scholar, Christos Menelaous and Maria Kallenou, UNIC Law Clinic Students – OWAAT, not present: Carlos Partasides, Rafael Mougis, Andreas Constantinou, Anastasia Frangou and Panayiota Daniel, Fall, 2014. Second, it goes deep to the root of the problem of our society because it tries in the simplest possible way to give all the necessary information and legal tools to all those who need it, but they have no other means to find it. In Golder v. United Kingdom (Appl. No. 4451/70, decision dated 21/2/1977, paras. 34-35), the European Court of Human Rights read the right of access to a court into the fair trial guarantee in Article 6 of the Convention. It also stated that one could not suppose compliance with the rule of law (to which emphasis is placed in the Preamble of the Convention) without the possibility of taking legal disputes to court. Τhis principle supported by many other cases of the ECtHR, including those affecting Cyprus directly, makes the role of OWAAT even more important. “All the forces in the world are not so powerful as the idea whose time has come”. “An invasion of armies can be resisted, but not an idea whose time has come”. This holds true with OWAAT’s idea, whose time has come in Cyprus. A University law clinic is established for this purpose, headed by a competent and specialized Fulbright scholar. The results from such an empirical study are expected to be tremendously helpful. Indeed, a rare and significant material is needed for such a dynamic positive change in our society. New laws and Court’s rules should be enacted and implemented to encompass this essential and novel idea. “I decided to be a Community Collaborator Volunteer because I truly believe that this could be the first domino falling down, encouraging a lot more change from within the community. My belief is that technology can connect people in ways that were not before possible. A perfect example would be Patricia and me. Now imagine if technology could connect two people from opposite sides of the world, the potential it can have in such a small community. Knowing that I can make this difference nationally means the world to me, as a woman and as a person. My special interests are: International Human Right Law and International Commercial Law. “In our time, ever-more people around us every day we need our practical and ongoing support. Each of us has the ability, the opportunity and the obligation would say, to offer valuable assistance and support to our synthropous, whose human rights are constantly violated. Helping to improve the quality of life and safeguarding the political and social equality and freedom of our co-citizens, we can greatly improve the perception and reaction of our society in relation to human rights violations in any extent and in any manner they happen. Let us not overlook the fact that in place can be found in the future related to our beloved. The program “OWAAT – One Woman At a Time” is a citizens’ initiative that aims to tackle such phenomena as the Cyprus society called to recognize and to ostracize, and by the Cypriot state called address them effectively. “It is every women’s human right to feel safe within their home. OWAAT brings the law to the women in a way that empowers the woman to take control of her life again to stand up to violence everyone has a right to live a life free of violence by clicking on the OWAAT web site ladies you have taken the first step to a new life. Dip. Working with Young People at risk. 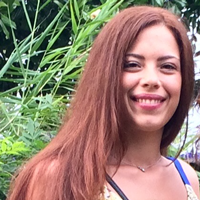 “Having been brought up in the Middle East and Cyprus, Katerina then moved to the UK to study Psychology and remained there working for 11 years in the fields of Mental Health and Social Care before discovering her passion for Child Protection. 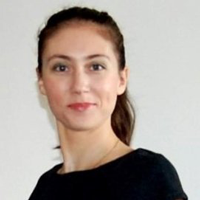 Katerina has been a regional Child Protection Officer and has worked with all age ranges of adults and children both in assessment settings and support roles. 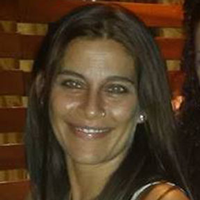 She has worked with both victims and offenders of sexual exploitation, domestic violence, substance mis-use and mental health issues and is an experienced risk assessor and case-work supervisor. 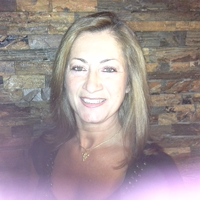 Katerina is an experienced professional with many years’ experience working with agencies and partners ranging from Police, schools and prisons to social welfare and government departments and is committed to championing the rights and protection of all vulnerable adults and children. It is for these reasons that she is an avid supporter of OWAAT and the ‘Self-help Your Right To No Contact’ since it aims to empower abused women in CY to access court, self-represent, and end their own abuse. “OWAAT is based on our common belief that every woman must be given the opportunity to unleash her potential by learning her rights and how to protect them. To me, being part of this project is both a honour and a challenge: while I feel proud of belonging to a group that is making a difference in women empowerment in Cyprus, I am also aware the path before us is long and steep. “Violence against women is perhaps the most shameful human rights violation. It does not distinguish between borders, cultures or wealth. As abuse continues, we can not pretend to make real progress towards equality, development and peace. Unquestionably, the problem of abuse of women in Cyprus increased rapidly, and needs to be dealt with; it is great. “First of all, I am a mother of two children. Whenever I pray to God I ask that they will be protected and that they will have a good life. My girls will eventually grow up and become women and I wouldn’t want to think that there is the slightest chance that they will experience any form of abuse. “The long-term consequence of the Cyprus conflict referred to by the international community as the ‘Cyprus Problem’ rests on the bodies of Cypriot women. Violence against women on the island continues to be discounted within the mainstream narrative and as such, issues of gender and women’s rights remain on the margins. The cases of violence that is actually being reported is overwhelming while the cases of violence whether psychological, emotional or physical that go unreported remain unsettling. OWAAT is necessary if not instrumental to address thevolatile state of abuse. OWAAT and its role as a Cyprus-born initiative is a beacon of hope for the women they serve and a reminder to all of us both locals and internationals alike that we do not lose sight of the human rights violations that women experience in frozen conflict conditions. The severity of intimate partner violence, domestic abuse, human trafficking and exploitation of migrant workers all sitting under the umbrella of gender based violence (GBV) must be placed at the highest priority of the issues that constitute the Cyprus Problem. UN Resolutions such UN Security Council Resolution 1325 continue to affirm that sustainable peace and development is impossible without the full and active participation of women in their society.